Fully inclusive cycle tour with 4 cookery classes, 7 tasting lunches & 7 dinners. Unbeatable value self led or guided tours. Unexplored landscapes, secluded corners of coastline, farms, trulli and oil mills still used for their original functions, old stone churches, ravines and ancient ruins that tell Apulian history as an heritage of different civilizations: Messapians, Greeks, Romans, Byzantines, Arabs, Normans, Swabians and Aragonese. All of them left tangible signs of their passage. 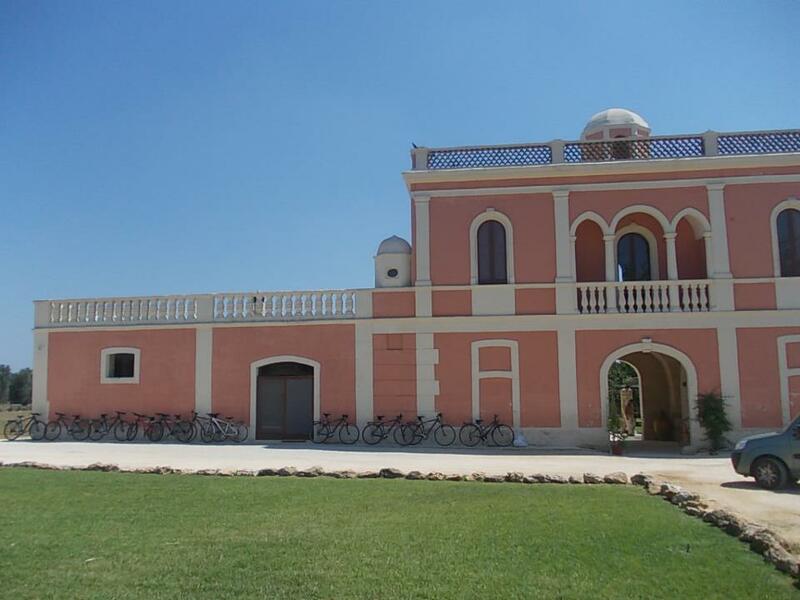 Fancy cycling in Puglia? Ciclovagando is waiting 4 you…be an Apulian too! 4 are the seasons that provide an experience of Puglia. From spring to winter in Apulia there’s a changing of colors, scents and flavors, nature exudes a special charm and magic. 4 are the elements of nature that will fascinate in Puglia. The crisp air of the “Via dei Colli”, the blue water of the blades of Grottaglie, the silent land of olive trees and the purifying fire of the ancient rites of the patronal feasts. 4 are the cardinal points of secondary roads and paths, the true wealth of Puglia to explore by bike. To the north along the “Via della Fede”, with the Romanesque and Imperial style. To the west along the “Via delle Gravine” with the Ancient Greece and Messapian heritage. To the south along the “Via Sallentina” with traditional food and music and dancing of taranta. To the east along the “Via dei Pellegrini” with the Baroque and Eastern style. A trip to Puglia is a journey in its roots, its traditions. The people of Puglia won’t welcome you as a stranger but as an old friend who had come from afar.